When you want to go on a road trip or have a bunch of loved ones to stuff in your vehicle, the SUV will be there to rescue you. Access a car body style that won't ever let you down –– the sedan. The sedan style offers plenty of cargo space as well as seating for five. How does a ride for two sound? When you're looking to drive fast without anyone in the backseat, this is the body-style you go with. Need some heavy lifting and advanced power? Choose a pickup truck and be the toughest person on the job site as well as the road. Finding the perfect used vehicle is not always easy. There will be doubts, especially if you're not sure what you're looking for. S&S Best Auto Sales is dedicated to your experience. If you're interested in financing a pre-owned vehicle with our team, now is the time. We offer loads of financial options for drivers near Federal Way WA, Kent WA, and Puyallup WA. All you have to do is stop by our website or our dealership to apply. The process itself is relatively simple, and you'll have one of our finance professionals with you every step of the way. We're doing away with the musty experiences that other used car dealers in the area might be handing out. You deserve a fantastic price and even better service, and that's what you're going to get at S&S Best Auto Sales. Our staff is dedicated to ensuring that drivers not only have access to the cars they want but the services they need. Whether you need help finding a vehicle in your price point or you're looking to get the value on your current ride, our used dealership team will be here leading the way. It is our pleasure to assist you on your car buying journey, so stop by! 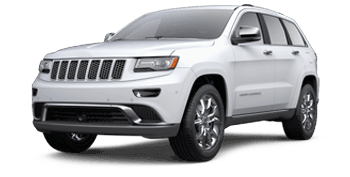 S&S Best Auto Sales offers drivers of Auburn, Washington the convenience they need. As a dealership catering to Washington drivers, one can expect to find vehicles that are ready for any season. Our commitment to the driver's experience makes us one of the top rated companies by the Better Business Bureau. When you do business with S&S Best Auto Sales, you'll get the service and care that you've been missing. Don't hesitate to shop our extensive inventory now! Finding a reliable used car isn't always easy, but with our team, it can be. 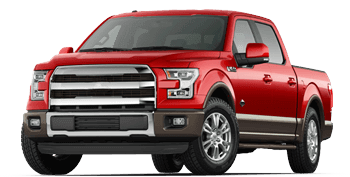 We offer a large inventory of used cars, trucks, and SUVs for sale. All you have to do is visit our location, and you'll see why Federal Way drivers prefer our location. 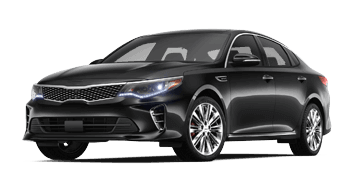 As a used car dealership in the Auburn, WA area, it is our pleasure to provide drivers with exclusive offers and used vehicle options near Kent & Puyallup, WA. Our automotive professionals will personalize a shopping plan that suits your unique needs. We want to help you find what you're looking for so that you can get on the road! Schedule a test drive in Auburn, Washington, and you'll see how just how many vehicles and lending options we provide. Whether you're looking for a coupe, SUV, truck, or a car, our team will assist you. S&S Best Auto Sales is dedicated to your experience. 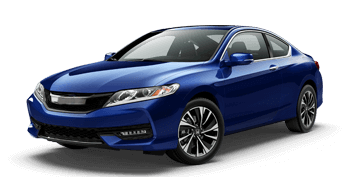 Not only do we offer bad credit financing for these models, but we also have helpful tools like the payment calculator. Drivers can learn more about their options by getting behind the wheel of prospective cars, trucks, and SUVs during a test drive. What better way is there to explore your favorite vehicle than with one of our S&S Best Auto Sales professionals? Contact us with any questions or concerns, we're always ready to assist. Visit our used dealership serving Auburn, WA and explore your options. Our dealership offers a wide variety of used vehicles for sale, including sedans, trucks, and SUVs. Get in touch with our sales team and get the vehicle you deserve! Whether you're looking for a premium pre-owned coupe or a like-new pickup truck with adaptive cruise control, you're sure to find it at S&S Best Auto Sales. Whether you want to apply for financing, schedule service, or schedule a test drive, S&S Best Auto Sales has the online resources you desire. We want you to have confidence in our dealership, that's why we make it so easy! Whether you're looking to finance a pre-owned vehicle or a find bad credit financing options, our online team will be able to assist. Start by filling out an application on the go and get the financing you need! Our no-hassle credit application is easy to fill out. All you have to do is enter your basic information, and one of our financial representatives will get in touch with you! We offer drivers plenty of lending options. Talk to our finance department in Auburn, WA to learn more about our pre-approval process. Seattle drivers are crazy about our secure credit application. Not only is this application is easy to follow, but we process them with lightening speed! You will find that the professional team at S&S Best Auto Sales makes it easy for drivers to get in contact with them. You can contact our team, schedule a test drive, and browse the latest used vehicles for sale––all from your home! You can utilize our user-friendly site to contact us directly about our service and pricing. While you're at it, we invite you to review our research on the latest pre-owned pickups, coupes, SUVs, and sedans in Auburn, WA. By researching our website, you can find out what vehicle best fits your needs and budget! We know how busy life can get so don't worry about calling – just use our website.